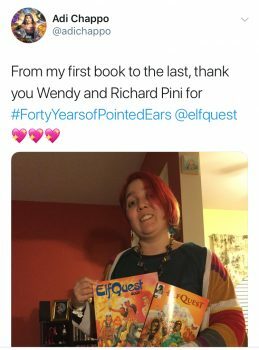 As part of 2018’s year-long “Forty Years of Pointed Ears” celebration of the completion of The Final Quest and Cutter’s Hero’s Journey, Wendy and Richard Pini have launched a social media contest for the chance to win a one-of-a-kind ElfQuest Treasure Box. 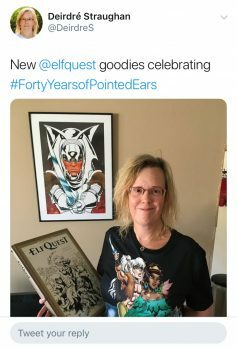 Fans that post about ElfQuest on social media in 2018 using the hashtag #fortyyearsofpointedears will automatically be entered to win this exclusive collection of goodies from the ElfQuest and Warp Graphics archives not available anywhere else. 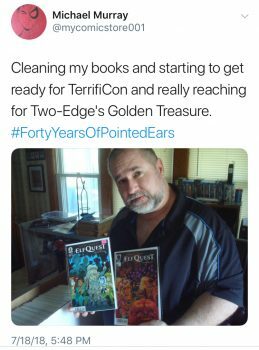 Potential items include books, comics, and rare or long-out-of-print merchandise. 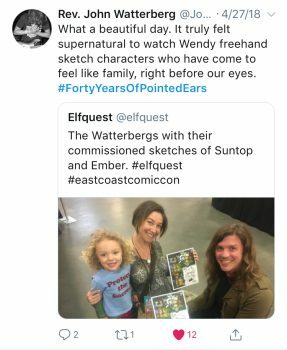 Also added will be an original convention-style sketch of an ElfQuest character (winner’s choice) done by Wendy Pini herself. 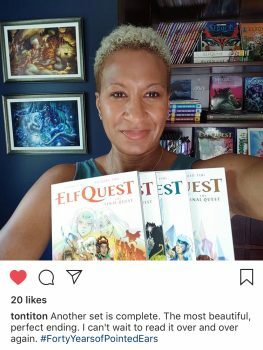 The winner will be selected at random and announced mid-December 2018. 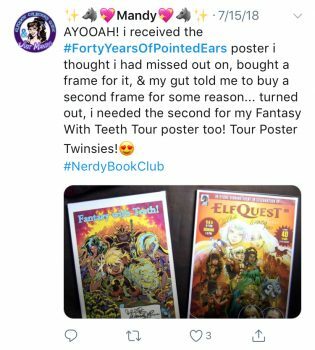 • Any post specifically about ElfQuest on Instagram, Twitter or Facebook qualifies as long as you use the hashtag #fortyyearsofpointedears and reference ElfQuest in the text or image. 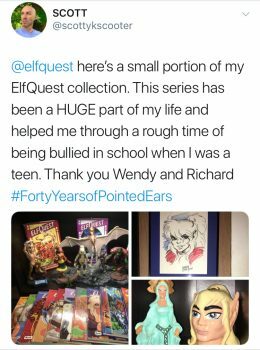 • If necessary, you can also use #40yearsofpointedears on Twitter to keep within the 140 character limit. 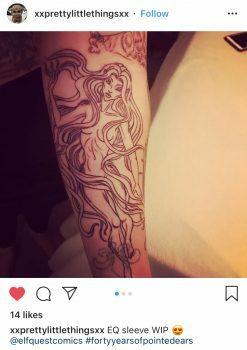 Don’t use both hashtags in the same post. 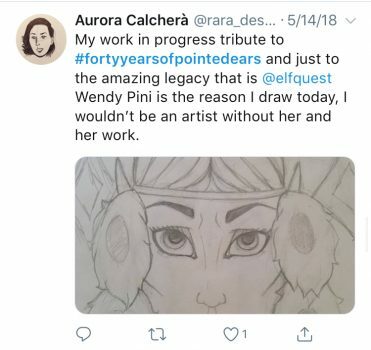 If you do, it will still only count as one entry. • Only public posts on your personal social media pages or public groups will be counted. Posts on private profiles or group pages won’t count, as we might not see them. 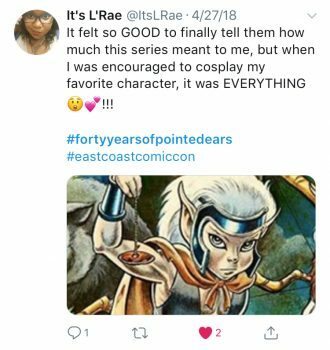 • You can cross-post on all of your social media accounts – each appearance will count as an entry. 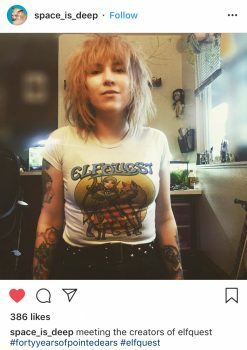 • Post as often and on as you like. There is no limit, and each time you do, your name will be entered again. The more you post, the higher your chances of winning. 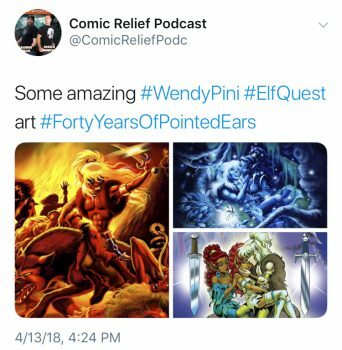 • Your favorite panels from the comics (if you use Wendy’s or another artist’s ElfQuest art you must give them credit, and all art posts must include this info: “Elfquest characters are © and TM Warp Graphics”). 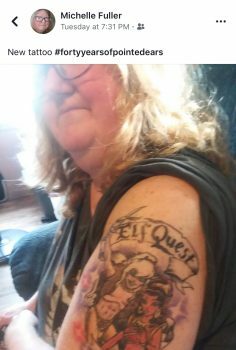 What a treat to be picked. 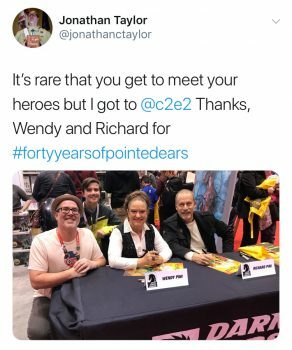 This fan-girl is over the moons!